Flair Coruscate maybe be king of the dragons, but he doesn't want to rule in the bedroom. Sometimes, it isn't good to be the king. 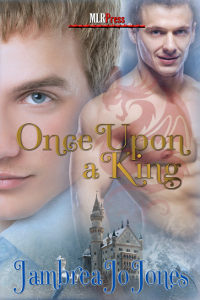 Saber Von Stein just wants to live a normal human life in the magical kingdom, but a curse has him hunting out an audience with the king in hopes of escaping the clutches of an evil wizard family. With a little Fairy Godmother magic and a royal ball can the King and the human have a happily ever after?